A version of this piece appeared at J-Source. "Clues as to what the future might look like can be found both in the ways news organizations use comments today, and in how comments have been used in journalism’s history." Karin Wahl-Jorgensen, a journalism professor at Cardiff University, wrote Journalists and the Public in 2007, a book about the history of letters to the editor. 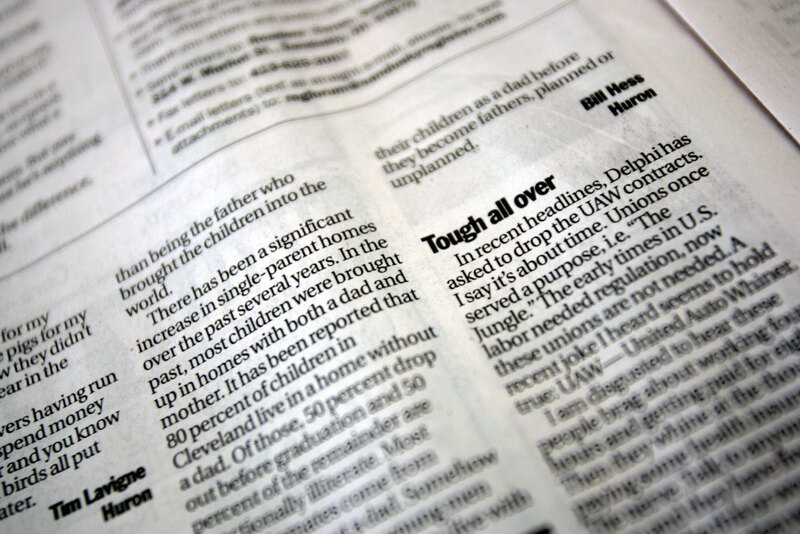 In it, she identifies two functions of letters to the editor: “Debates over specific issues in the paper on journalism ethics and … engagement in broader public debates.” Modern comment sections also perform these functions. Audience members can also point journalists toward story ideas. 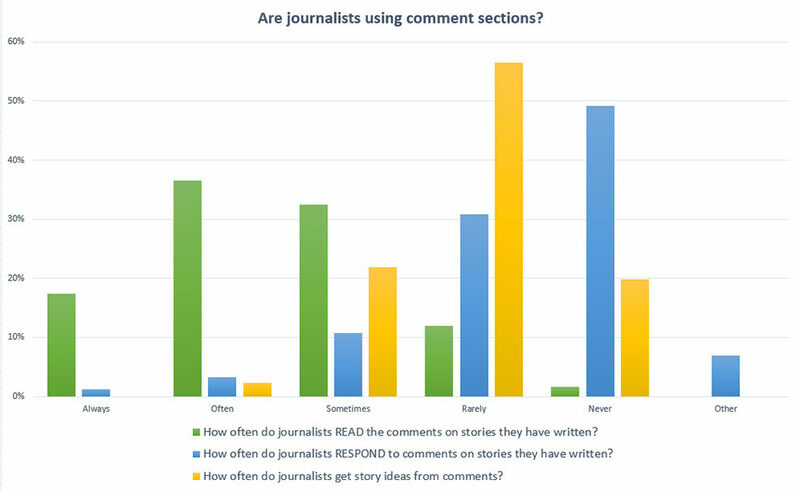 A 2011 study in the Newspaper Research Journal, an American publication run by journalism professors across the country, found that 22 percent of U.S. journalists sometimes got a story idea from comment sections. 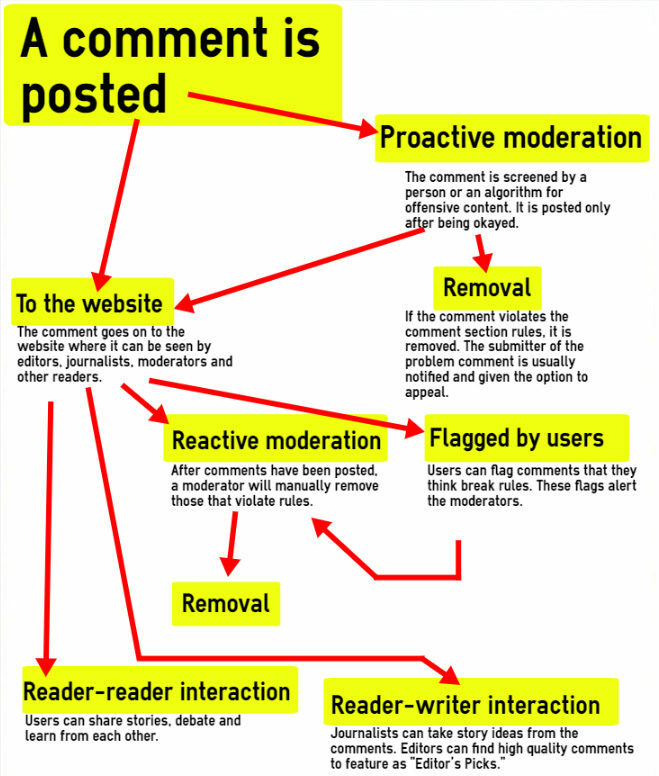 Another problem is that many comment sections are underused. For example, Bloomberg Business ditched its comment section partially because “less than one percent of the overall audience” was commenting. A 2016 Gallup poll put U.S. public trust in journalism at its lowest point in polling history. Only 32 percent of people had a great or fair amount of trust in the news. One of the hopes of the Coral Project, Losowsky says, is that readers will feel a part of the news-making process, and so will have more trust in it.